One of the best aspects of being a guest at Ross Hill Park is its proximity to many of Connecticut's most popular points of interest! Whether you're interested in shopping, visiting historical sites, or simply having some fun, the Eastern Connecticut area has plenty to offer! Clinton Crossing — Shop in style, directly from the manufacturers & designers. Crystal Mall — Two-story shopping mall with national chains and department stores. Olde Mistick Village — A leisurely shopping experience with unique items & an old-time setting. Westbrook Tanger Outlet Center — Buy directly from brand name manufacturers and enjoy a movie at the 12-screen cinema. The Connecticut Wine Trail — Taste the Adventure and visit a unique collection of vineyards as you follow the wine trail through some of the most picturesque towns in Connecticut. The Dinosaur Place at Nature's Art — Family oriented activity center featuring activities with fossils, lifesize dinosaurs, gems, rocks and minerals. Essex Steam Train & Riverboat — The only steam train and riverboat connection in the country, offering a 2.5 hour narrated journey through the countryside. 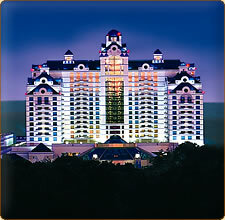 Foxwoods Resort & Casino is the world's largest casino. It offers a wide range of gaming options, restaurants, shopping, and entertainment venues in a Las Vegas style atmosphere, including the new MGM Grand. 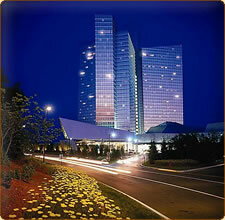 Mohegan Sun Casino offers world-class gaming, restaurants, shopping, concerts, & sporting events. Its Native American theme and decoration mixes traditional culture with modern entertainment. 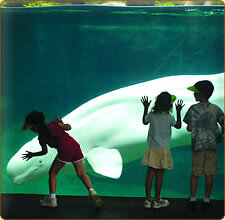 Mystic Aquarium & Institute For Exploration is a popular Connecticut destination due to its unique aquatic exhibits, shows, and events. Visitors can get up close and personal, in both indoor & outdoor settings. Norwich Golf Course — Owned by the City of Norwich and open to the public. Listed in 2004 by Golf Digest as one of the "Best Places to Play." Norwich Municipal Ice Rink — Non-profit facility that provides public skating sessions, hockey leagues, & a pro shop. Ocean Beach Park — Beach and boardwalk which hosts various entertainment events during the warmer seasons. O'Neil Theatres — A 3D digital cinema at Lisbon Landing with stadium seating and 12 screens to show all the latest Hollywood blockbusters. River Ridge Golf Course — A scenic 18-hole golf course only minutes from Ross Hill Park. Also operates a full service restaurant and lounge overlooking the course. Thompson Speedway — The nation's first asphalt paved auto racing track hosted NASCAR Grand National races during its early years and now features weekly local NASCAR racing. Waterford Speedbowl — A variety of racing series & divisions put on show weekly for local NASCAR racing at a track that has been around since the beginning. Connecticut State Capital — The state's capital, located in Hartford, offers tours of the facility in addition to information about CT's history and legislative process. Gillette Castle State Park — Explore the recently renovated unique and mysterious former mansion of American stage actor, William Gillette. Hopeville Pond State Park — Once part of the local mill industry, Hopeville Pond is now open to the public for a variety of activities such as swimming, bicycling, fishing, etc. Mashantucket Pequot Museum — World's largest Native American museum & research center, offering a variety of exhibits & resources. Mystic Seaport — A thorough tribute to the maritime industry that has inhabited the area for hundreds of years. Old Sturbridge Village — Visit the largest outdoor history museum in the Northeast to find out what a rural community in Massachussetts was like in the 1700s and 1800s. Pachaug State Forest — A 24,000 acre state forest spanning 5 Connecticut towns featuring areas for hiking, boating, picnicking, etc. Quinebaug Valley Trout Hatchery — One of the largest hatcheries in the east, this facility produces 600,000 brook, brown and rainbow trout annually for recreational fishing. Submarine Base — Naval Submarine Base New London has been in use for over 100 years and offers support services for military families and military retirees. U.S. Navy Submarine Force Museum — Operated by the U.S. Navy and home to the USS Nautilus Memorial. Copyright © 2016 Ross Hill Park. All rights reserved.